Openly gay singer Tom Goss is a Man About World global correspondent. Join Travelin’ Tom as he takes us to exotic, thrilling Bangkok in gay Thailand. 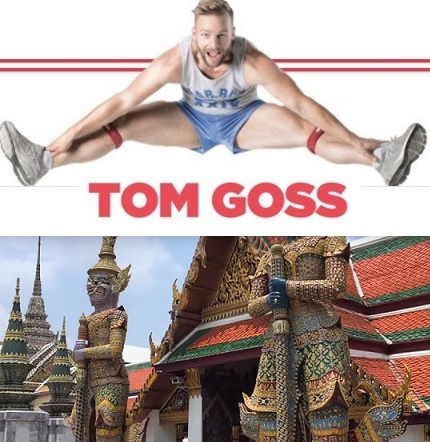 Goss packs in a whole lot of information in a short video including magical spots like the Grand Palace and Emerald Buddha; delicious street food; buzzing shopping stands; fragrant flower markets, and much more. Enjoy the video below!